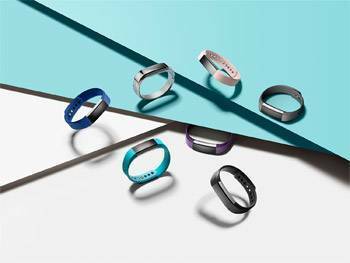 Fitbit, the leader in the connected health and fitness market, has introduced Fitbit Alta™ – a slim, sleek fitness wristband that can be personalised to fit your style, while advanced health and fitness features make tracking workouts effortless and deliver positive motivation to keep you moving. Fitbit Alta is designed with a satin finish, stainless steel body and features a line of stylish interchangeable bands in multiple popular colours and premium materials so you can find the right style for every occasion. In addition to automatically tracking your all-day activity, exercise and sleep, it's equipped with Reminders to Move, nudging you to stay active throughout the day for better health, while providing visual feedback on your progress and keeping you connected with the smart notifications you need most on a vibrant, slender display. Fitbit Alta is available for presale with retail availability starting in March 2016, joining the recently announced award-winning Fitbit Blaze™ Smart Fitness Watch. Together, the two new devices are the smartest, most stylish and most motivating fitness trackers to date from Fitbit. 'Fitbit Alta will turn heads as our most fashionable device yet. The attractive, versatile design of this new fitness tracker fits seamlessly into daily life – from the gym to the office to a night out," said James Park, CEO and Co-Founder of Fitbit. 'Alta features the everyday tracking Fitbit is known for, along with innovative and purpose-built features that push users to do more. Paired with our large, engaged global social community, Alta is an exciting product for everyday users who are looking for a simple way to stay motivated and connected, that also fits with their personal style." Reminders to Move help you stay active and reduce stationary time. Research shows that your metabolism can slow down after prolonged sitting and sedentary time is associated with an increased risk of diabetes and cardiovascular disease. Moving for a few minutes every hour can help you keep your metabolism up and help reduce the negative impacts of sitting. Using short, positive prompts, Fitbit Alta will encourage you to meet a mini-step goal of 250 steps each hour (approximately 2-3 minutes of walking), and will congratulate you when you achieve the goal. These prompts can be personalized to your schedule and can easily be put on 'Do Not Disturb" during long meetings or appointments, ensuring that you only get reminders when wanted. SmartTrack™ automatic exercise recognition provides a smarter, easier way to track workouts and see how exercise fits into your daily activity, giving you credit toward your weekly goals. It automatically recognises and records continuous movement activities including walking, running, outdoor biking, elliptical, as well as general categories of aerobic workouts (such as dance classes and cardio-kickboxing) and sports (including basketball, soccer and tennis). Weekly exercise goals in the Fitbit® app encourage you to find and embrace a more consistent fitness routine that works for you. These goals are tracked and displayed in the app on a daily basis, with a weekly goal for the number of days you plan to exercise to help keep you accountable. Weekly goals can easily be personalised to your fitness routine, allowing you to choose your target number of exercise days and the SmartTrack activities you want to count toward your goals. All-day activity and automatic sleep tracking give you the foundational real-time health and fitness stats you need to track your progress, stay motivated and keep informed to reach your goals. View your step count, distance, calories burned, active minutes and the time on the easy-to-read OLED tap display, and use the Fitbit app to learn how long and how well you're sleeping, plus set silent, vibrating alarms. Sleek, modular design features a satin finish, stainless steel tracker with a custom, quick-release feature that allows you to wear Fitbit Alta as your favourite accessory at work and then swap your band instantly for a workout-friendly wristband. Available at launch in silver stainless steel, the tracker will also soon be available in a stunning, shiny gold stainless steel. Stylish interchangeable accessory bands designed with attractive, premium materials including classic fitness wristbands, soft, premium hide leather bracelets with a beautiful natural grain, and a luxurious, hand-polished silver bangle – engineered to ensure all-day comfort, giving you the freedom to find the look that feels like you. Easy-to-read, vibrant OLED tap display shows your activity stats and the time, which can be personalised using a variety of portrait or landscape clock face options. The tap display gives you quick and easy access to your all day stats and notifications. Tory Burch for Fitbit Alta builds on the success of the Tory Burch for Fitbit accessories collection that transforms your Fitbit Flex™ into a super-chic accessory. Coming soon, Fitbit and Tory Burch will introduce new styles specific to Fitbit Alta, providing unique ways to accessorise the device. 'Whether I'm working or playing, my lifestyle keeps me in constant motion. Fitbit Alta helps me fit fitness into my busy life and looks great no matter what I'm doing, with swappable bands that let me match my style," said Julianne Hough, dancer, singer, actress and Fitbit Ambassador. 'Staying active is at the core of my lifestyle and having a fitness tracker helps keep me motivated and mindful of my health." Fitbit Alta was designed to allow you to live your daily life without distraction, giving you the tools and motivation you need to take action and make the most of every day. Stay connected with the smart notifications you need. Using Bluetooth® Smart connectivity, Fitbit Alta delivers call, text and calendar notifications right on your wrist when your phone is nearby through on-screen messages and a gentle vibrating alert. Long battery life of up to 5 days on a single charge lets you live your life, track your activity all day and your sleep all night, with the assurance you won't lose a step. Compatible with more than 200 Android, iOS and Windows mobile devices and computers so you can access your stats and motivational interactive tools to set goals, see your progress, and cheer or challenge friends, family and co-workers.